No, that’s just self-parody, and wishful thinking, on either choice, or what would now probably be called fake news; although the latter is usually meant to describe news that is portrayed as being real. The lines often blur in the time-deficient, information-overload media we now have. The photo above is a tesla Musk rocketed up on February 6th last year, attained from Wikipedia. I was reminded of Amber Heard by the amber weather warning. It was nice to see snow for the first time this year, although it’s hard for people travelling of course. Which would I choose if given a choice between a relationship with Amber Heard or a trip to space. In true greenYgrey style, I think it would depend on the length of time. If it was a short relationship v short trip I’d choose space; if it was long v long I’d choose Amber. Sorry if it’s not the answer women want! When I joked I wanted a relationship with Amber Heard not Amber Rudd it was mainly to make the point that I put my taste in beauty before status or wealth; to support the nice poor women I hear about killing themselves quite often. So Amber Rudd was just a representative of the ‘powerful woman or man’ who might think like that, with a similar name to my favourite super beautiful actress of the time. I later saw Rudd had written about her husband having an affair with a younger woman, so in that case I was on Rudd’s side, and felt a little sorry about what I’d written, which had been simply for parody comedy reasons, with Rudd a powerful ‘celebrity’ politician already in the full media glare. I don’t know if she ever read my blog post, and hope she didn’t, but it was nothing personal, and was more about the type of woman (and man) who puts status and wealth before looks and love… and especially those who try to use the former to destroy the latter… as I’ve seen in lots of movies, and I think experienced myself. But some women think, well, if he’d prefer to go to space, he’s only got himself to blame, and they like men who’ll ‘do anything’ to get them! While women like Amber Heard have been the figureheads, on my travels I’ve been privileged to see and meet many AAWsome women. There, it’s often the lower paid workers, from flyerers to waitresses who’ve brightened up the world; or pedestrians on the ground to air hostesses at altitude. I’m not boasting of conquests there for those who think that way; it’s all been nice and ethical; as I later read about Moby experiencing in his Porcelain memoir, and wrote about it before on this site’s sister site, fmpoetry.wordpress.com. One day there may be space hostesses, but I unfortunately won’t be around then… unless Musk and Branson get their act together! My travel article about an Urquhart Coaches holiday to the Scottish Highlands visiting Moffat, Isle of Skye; especially Portree; Eilean Donan castle, Dornoch, John O’ Groats; seeing Orkneys; Inverness and Loch Ness has been published on Travel Thru History. Apart from travel descriptions and local history, the main theme of the article contrasts independent travel with organised, and how they are usually undertaken by different age groups, with my middle-ageness (greenYgreyness) seeming to be the perfect place to compare the two types of travelling holiday. Ironically, writing the article probably gave me a bit of a middle-aged crisis, partly inspiring my independent hikes around Yorkshire and Jersey this year; to see if I still had it!? It resulted in some of my longest hikes of my lifetime, and the most independent. However, when my independently booked return ferry trip from Jersey was cancelled, due to wind and rain rather than a proper storm, I saw a woman holding an Urquhart sign, which must have been for people on one of their holidays there; and heard from another on the ferry that a tour operator had put up their holidaymakers in a nice hotel free of charge, which I presume was Urquhart. Condor ferries refused to reimburse me for the hotel they booked for me, and told me I could claim back. 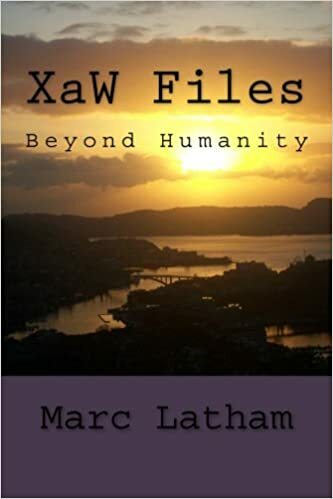 Marc Latham’s books are available on Amazon.